1500 SLT, SLT, ABS brakes, AM/FM radio: SIRIUS, Compass, Electronic Stability Control, Heated door mirrors, Illuminated entry, Low tire pressure warning, Remote keyless entry, Traction control. 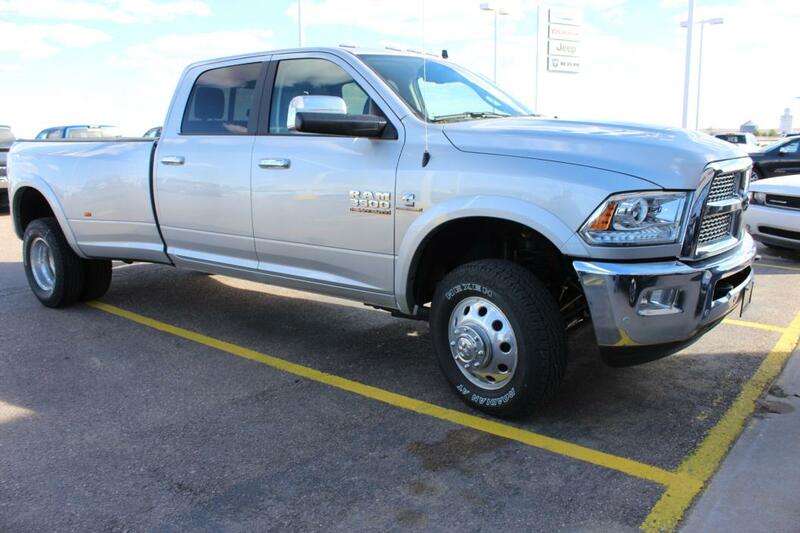 Odometer is 71760 miles below market average!, 17' x 7' Aluminum Wheels,4-Wheel Disc Brakes,40/20/40 Split Bench Seat,6 Speakers,ABS brakes,AM/FM radio: SIRIUS,Air Conditioning,Audio Jack Input for Mobile Devices,Black Exterior Mirrors,Brake assist,Bumpers: chrome,CD player,Cloth 40/20/40 Bench Seat,Compass,Delay-off headlights,Driver door bin,Dual front impact airbags,Electronic Stability Control,Exterior Mirrors w/Heating Element,Front Center Armrest w/Storage,Front anti-roll bar,Front reading lights,Front wheel independent suspension,Fully automatic headlights,Heated door mirrors,Heavy-Duty Engine Cooling,Illuminated entry,Low tire pressure warning,MP3 decoder,Next Generation Engine Controller,Outside temperature display,Overhead airbag,Overhead console,Panic alarm,Passenger door bin,Passenger vanity mirror,Power door mirrors,Power steering,Power windows,Radio data system,Radio: Media Center 130 CD/MP3,Rear anti-roll bar,Rear seat center armrest,Rear step bumper,Remote keyless entry,Speed control,Storage Tray,Tachometer,Tilt steering wheel,Traction control,Trip computer,Variably intermittent wipers,Voltmeter ABS brakes, AM/FM radio: SIRIUS, Compass, Electronic Stability Control, Heated door mirrors, Illuminated entry, Low tire pressure warning, Remote keyless entry, Traction control. Odometer is 71760 miles below market average! 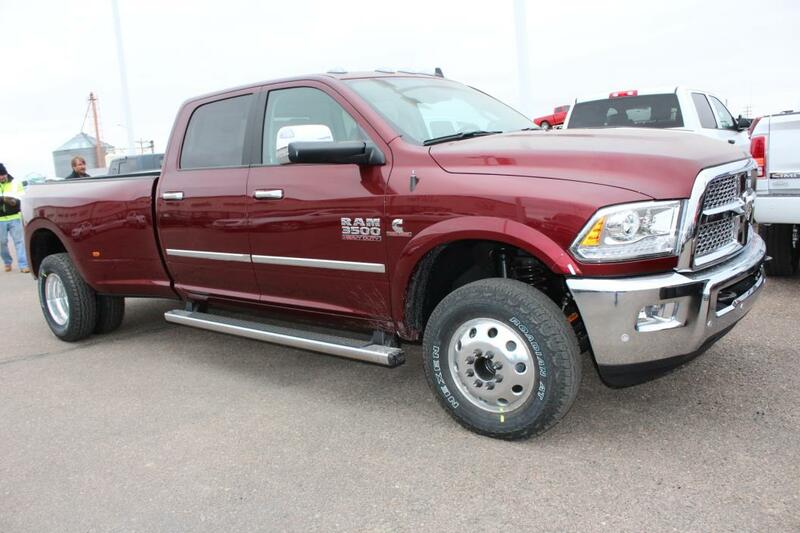 1500 SLT, SLT, Just Reduced!, Tachometer,CD player,Air Conditioning,Traction control,Fully automatic headlights,Cloth 40/20/40 Bench Seat,Tilt steering wheel,Brake assist,Bumpers: chrome,Illuminated entry,Outside temperature display,Power windows,Rear anti-roll bar,Front anti-roll bar,Voltmeter,Overhead airbag,Trip computer,MP3 decoder,Power door mirrors,Front wheel independent suspension,Low tire pressure warning,Center Hub,Exterior Mirrors Heating Element,Front reading lights,Overhead console,Passenger vanity mirror,Panic alarm,1-touch up,Radio data system,Speed control,Power steering,Dual front impact airbags,ABS brakes,Passenger door bin,Dual front side impact airbags,40/20/40 Split Bench Seat,Heated door mirrors,Rear step bumper,Electronic Stability Control,Radio: Uconnect 130 AM/FM/CD/MP3,6 Speakers,Delay-off headlights,Black Exterior Mirrors,AM/FM radio,Variably intermittent wipers,Occupant sensing airbag,Front Center Armrest w/Storage,Remote keyless entry,Compass,Driver door bin,4-Wheel Disc Brakes Just Reduced! 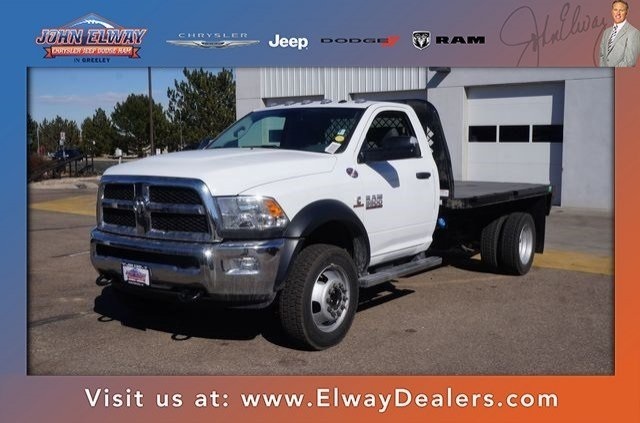 2011 Dodge 3500 Flatbed / Stake Bed Truck. 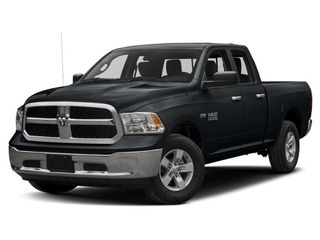 5.7L Hemi V-8 Gas Powered Engine, 6 Speed Automatic Transmission, 4x4-Four Wheel Drive, Manual Transfer Case, Auto Hubs, Dual Rear Wheels, 12,500 Lbs. GVWR, 5,200 Lbs. Front Axle, 9,350 Lbs. 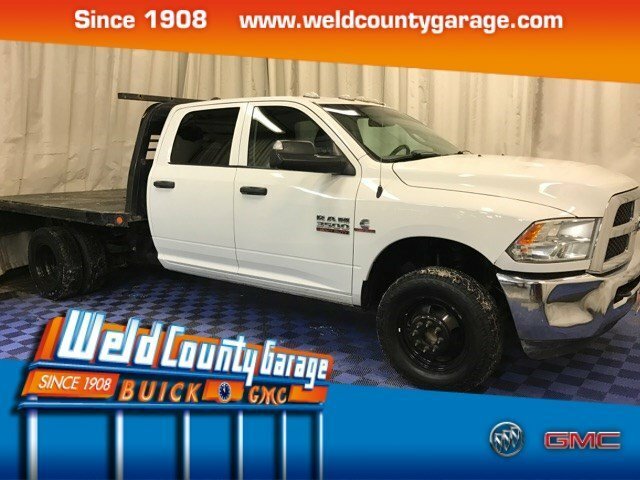 Rear Axle, Regular Cab, A/C, AM/FM/CD Player, Manual Windows, Mirrors And Locks, 3 Passenger Vinyl Bench Seating, Rubber Floors, 17" Steel Wheels With Good Tires, 9'L Steel Deck Flatbed w/Removable 28" Steel Stakes, Receiver Hitch, ICC Bumper. 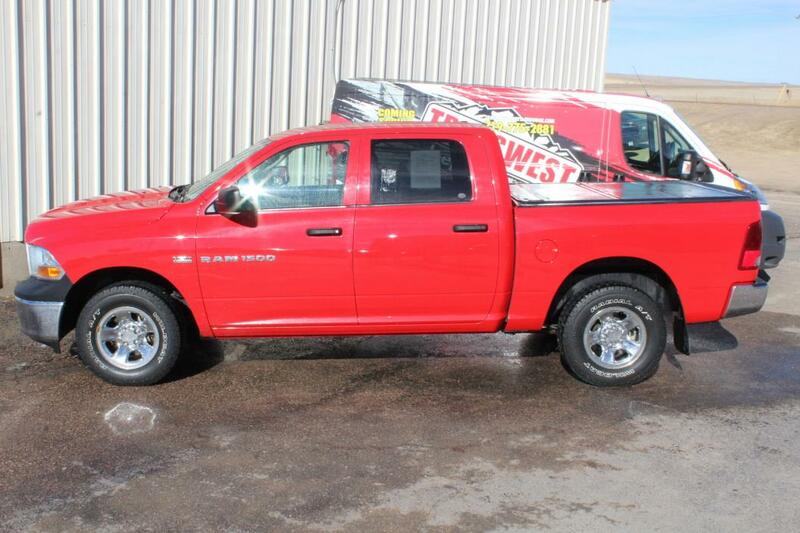 Nice And Clean Low Mileage Flatbed Truck With Only 74K Miles! 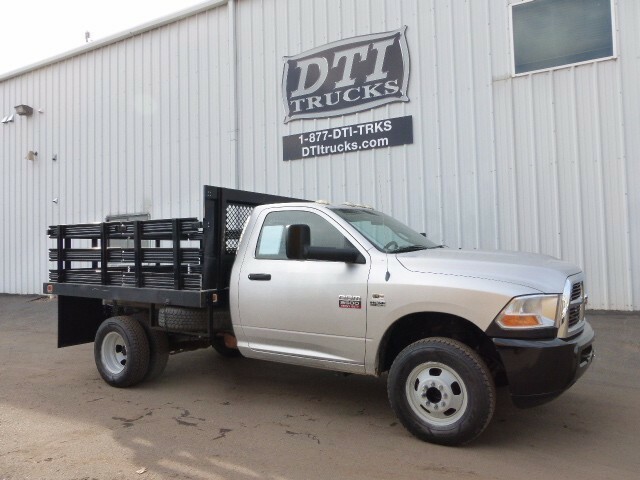 This Flatbed Truck Is For Sale @ DTI Trucks On 44th Ave In Wheat Ridge, Colorado. 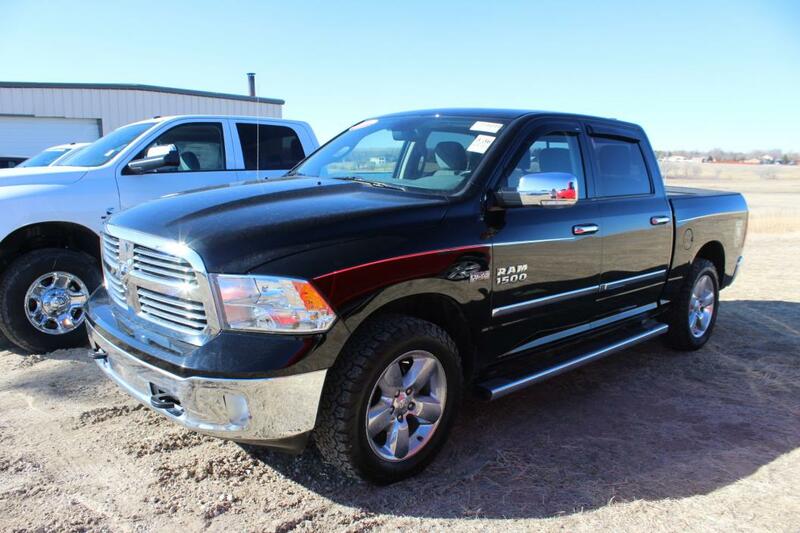 1500 SLT, SLT, Take command of the road in the 2014 Ram 1500! A comfortable ride in a go-anywhere vehicle! With less than 40,000 miles on the odometer, you'll be sure to appreciate this model's condition and value. 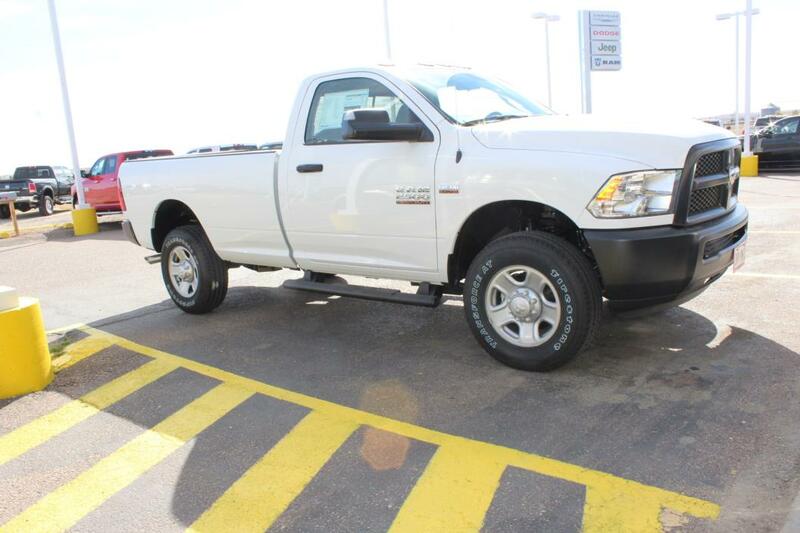 Top features include air conditioning, a rear step bumper, an overhead console, and more. Smooth gearshifts are achieved thanks to the powerful 8 cylinder engine, and for added security, dynamic Stability Control supplements the drivetrain. Four wheel drive allows you to go places you've only imagined. We have a skilled and knowledgeable sales staff with many years of experience satisfying our customers needs. We'd be happy to answer any questions that you may have. 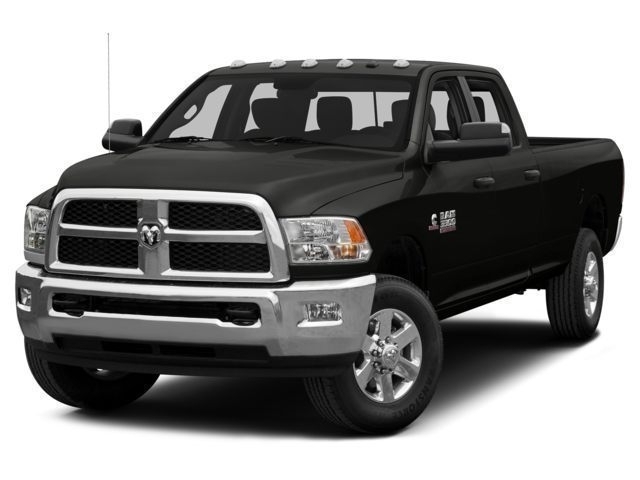 We are here to help you., Tachometer,Air Conditioning,Traction control,Fully automatic headlights,Tilt steering wheel,Cloth 40/20/40 Bench Seat,Brake assist,Bumpers: chrome,17' x 7' Aluminum Wheels,115V Auxiliary Power Outlet,Illuminated entry,Integrated Voice Command w/Bluetooth,Outside temperature display,Power windows,Rear anti-roll bar,Charge Only Remote USB Port,Front anti-roll bar,Rear seat center armrest,Voltmeter,Overhead airbag,Trip computer,Power door mirrors,Front wheel independent suspension,Low tire pressure warning,Radio: Uconnect 5.0 AM/FM/BT,Front reading lights,Overhead console,Passenger vanity mirror,Panic alarm,3.21 Rear Axle Ratio,Display: analog,Radio data system,Speed control,Power steering,Dual front impact airbags,ABS brakes,Passenger door bin,Storage Tray,Dual front side impact airbags,Exterior Mirrors w/Heating Element,40/20/40 Split Bench Seat,Heated door mirrors,Rear step bumper,Electronic Stability Control,6 Speakers,Ash Tray Lamp,Delay-off headlights,Black Exterior Mirrors,AM/FM radio,Variably intermittent wipers,Occupant sensing airbag,Front Center Armrest w/Storage,Remote keyless entry,Compass,Driver door bin,Front Armrest w/3 Cupholders,4-Wheel Disc Brakes Take command of the road in the 2014 Ram 1500! A comfortable ride in a go-anywhere vehicle! 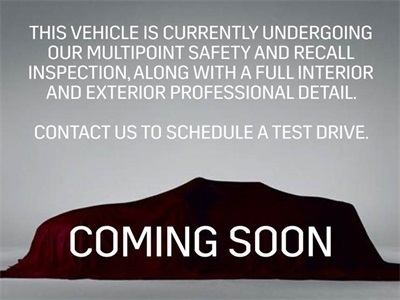 With less than 40,000 miles on the odometer, you'll be sure to appreciate this model's condition and value. 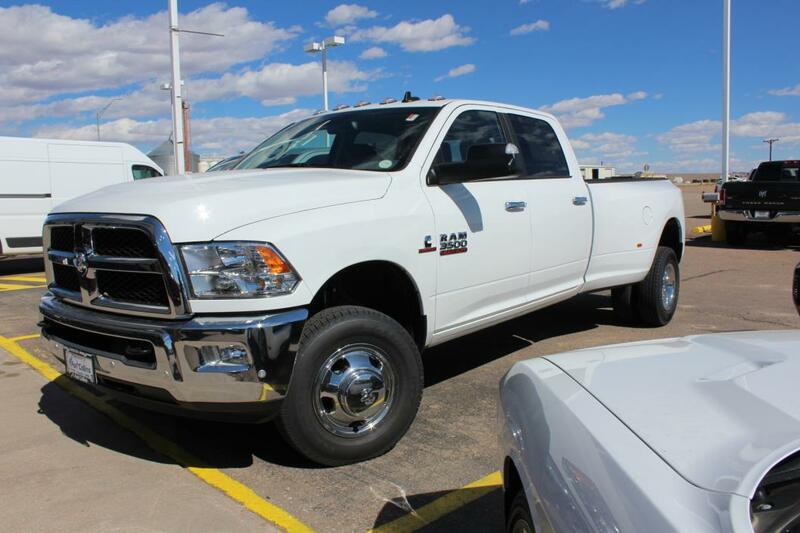 Top features include air conditioning, a rear step bumper, an overhead console, and more. Smooth gearshifts are achieved thanks to the powerful 8 cylinder engine, and for added security, dynamic Stability Control supplements the drivetrain. Four wheel drive allows you to go places you've only imagined. We have a skilled and knowledgeable sales staff with many years of experience satisfying our customers needs. We'd be happy to answer any questions that you may have. We are here to help you. 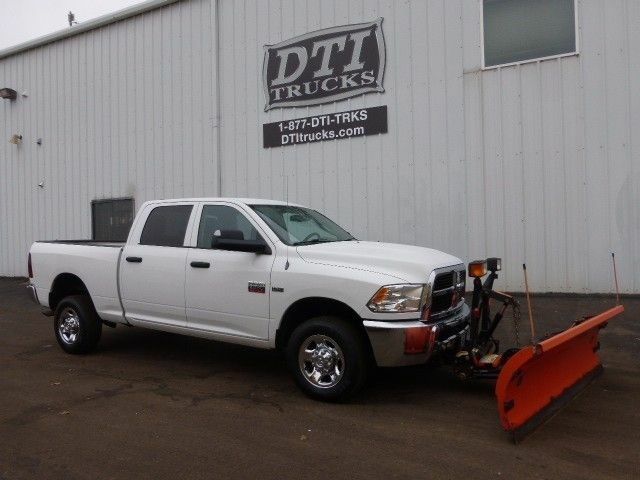 2012 Dodge 2500 Crew Cab Pickup Truck With Snow plow. 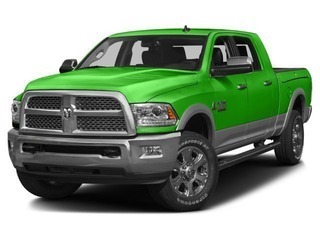 5.7L Hemi V-8 Gas Powered Engine, 6 Speed Automatic Transmission, 4x4-Four Wheel Drive, Manual Transfer Case, Auto Hubs, Single Rear Wheel, 8,800 Lbs. GVWR, 5,200 Lbs. Front Axle, 6,000 Lbs. Rear Axle, Crew Cab, A/C, AM/FM/CD Player, Power Windows, Mirrors And Locks, 6 Passenger Cloth Seating, 17" Steel Wheels With Good Tires, Short Bed, Receiver Hitch. 7'5" Curtis Slow Plow With Snow Pro 3000 Hitch-N-Run System. 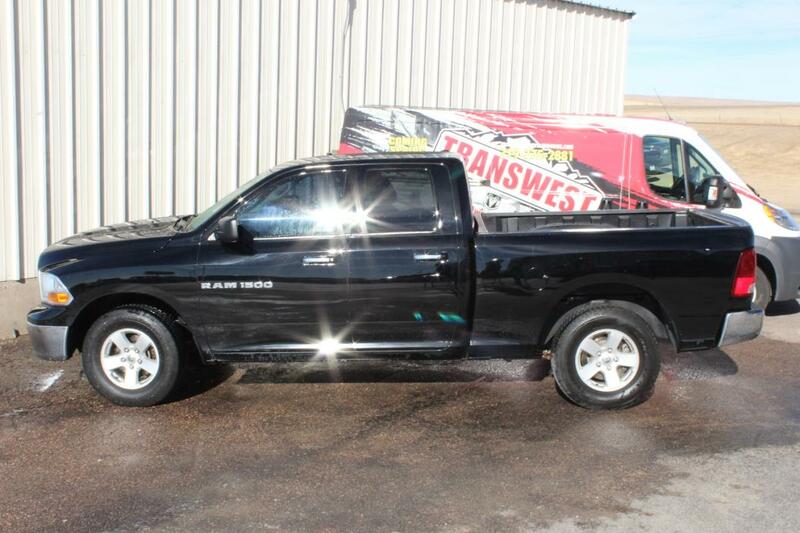 Clean Crew Cab Pickup Truck With Only 68K Miles! This Pickup Truck/Snow Plow Combo Is For Sale @ DTI Trucks On 44th Ave In Wheat Ridge, Colorado.